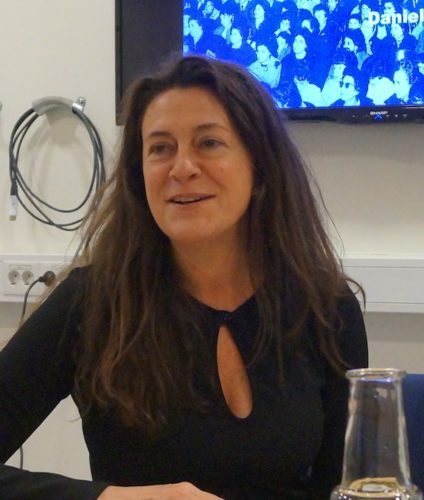 Daniela Treveri Gennari is Professor in Cinema Studies. She works on post-war popular cinema and her particular interests are audiences, film exhibition and programming, as well as issues of censorship, Catholic influence on cinema history in general and more specifically on the development of Italian film industry between 1945 and 1960. Her publications include, among others, her monograph Post-war Italian Cinema. American Intervention, Vatican Interests (Routledge, New York, 2009), the edited volume (with D. Biltereyst) Moralizing cinema: Film, Catholicism and Power (Routledge, New York, 2014), the article ‘If you have seen it, you cannot forget!’: Film consumption and memories of cinema-going in 1950s Rome, Historical Journal of Film, Radio and Television (2015). Daniela has been working on spectatorship in post-war Italy (as part of her successful British Academy Mid-Career Fellowship and the AHRC-funded project Italian Cinema Audiences. She has also led the British Academy/Leverhulme funded Mapping European Cinema: A Comparative Project on Cinema-Going Experiences in the 1950s in collaboration with Ghent University (Belgium) and De Montfort University (UK).